Our commitment to excellence extends through the sales cycle, the design, build, delivery and far from least – service. Our customer base extends up and down the coast, and to meet their needs we have to have a service base that can satisfy that. We are not just providing a product, we are providing a lifestyle, and the peace of mind that comes with great service is vital to a great yachting experience. 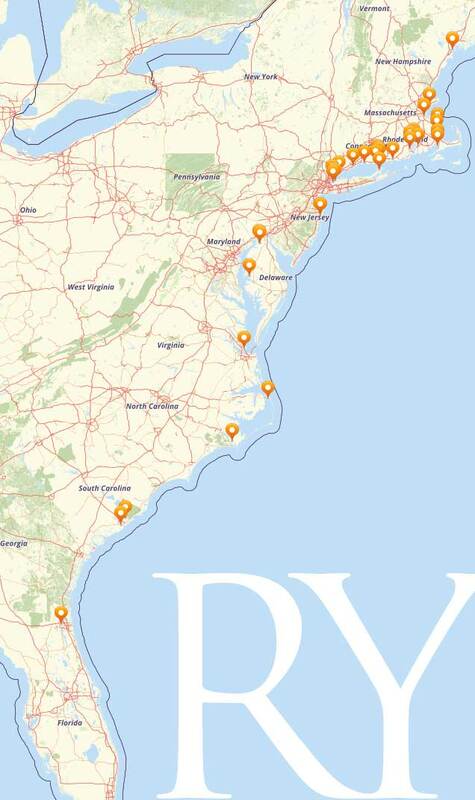 Reliant Yachts has created a network of hand-selected service yards in Maine, Massachusetts, Rhode Island, Connecticut, New York, New Jersey, Maryland, Virginia, North Carolina, South Carolina, Georgia & Florida. There’s nothing quite like owning a Reliant, and as long as you own your yacht, it’s an experience you deserve to enjoy every time you get behind the helm. Each boat we build is designed to meet Reliant Yachts standard of excellence, and we feel this same rigorous standard should be applied to service.